Jenniferjfletcher's Gallery: Happiest Wishes on Your Birthday! What a classy card. Love the kraft paper with the lace and paper doily. Gorgeous!!!! 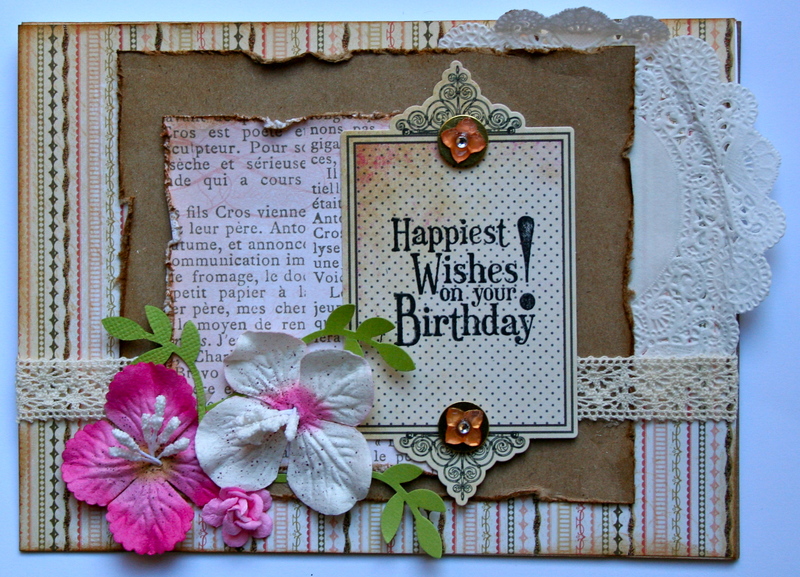 I love your choice of papers and the pops of color from the pretty flowers!!! so , so pretty! Love the design, pprs, lace, bling!! Love the distressing & inking. Nice design - I like the die cuts, lace and bling.